Pixelligent Technologies, an Mtech TAP incubator graduate and MIPS funding recipient, recently announced it was awarded a Small Business Innovation Research (SBIR) Phase I grant by the Department of Energy (DOE). The nine-month, $150,000 program will enable Pixelligent to accelerate the development of its nanoadditives for use in organic light-emitting diode (OLED) lighting, which is used to create digital displays in devices such as television screens, computer monitors, portable systems such as mobile phones, handheld games consoles and PDAs. As part of this program, Pixelligent will partner with OLEDWorks LLC, a leading OLED lighting company. "As we continue working with the world's leading electronics and next generation lighting companies, we are excited to partner with OLEDWorks, one of the leading American manufacturers of OLED lighting solutions", said Craig Bandes, president and CEO of Pixelligent. The SBIR program, established by the U.S. Congress, supports scientific excellence and technological innovation through the investment of federal research funds. The goal of the program, titled Advanced Light Extraction Material for OLED Lighting, is to develop an internal light-extraction structure that will be fully compatible with OLED device manufacturing processes and operating conditions that can expedite the commercialization of white OLED lighting. “We are honored to receive this highly competitive grant from the DOE that recognizes the significant value our advanced materials can provide in Solid State Lighting (SSL) applications”, commented Dr. Gregory D. Cooper, CTO and Founder of Pixelligent Technologies. Since 2012, the company has received three SBIR grants from the Department of Energy, totaling $1.3 million, to expedite the development of its advanced materials for commercial use. Once occupying four wet labs and two offices in TAP from 2005 to 2011, Pixelligent moved to Baltimore in June, 2011. In 2012, the company expanded its footprint to include more than 13,000 sq. ft. and has increased its work force by nearly 150 percent since moving operations to Baltimore. This growth is attributed to the increased demand for its proprietary Zirconia nanocrystal additives and the progress Pixelligent has made in significantly scaling-up its manufacturing capacity. 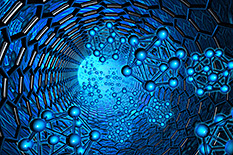 The company is now producing and shipping its nanocrystal additives to customers around the world. Also in 2005, Pixelligent worked with UMD chemistry and biochemistry Professor Daniel Falvey through a Maryland Industrial Partnerships (MIPS) grant on nanocrystal additives for increased resolution in photolithography. The project helped Pixelligent as it transitioned its technology to other applications in semiconductor manufacturing and the electronics industry, according to the company. In December 2012, The Baltimore Sun reported that Pixelligent was "searching the region for space for a manufacturing facility capable of increasing its capacity to make nanocrystal coatings for electronics and semiconductors by 10 times or more." Pixelligent has raised more than $17 million over the past four and a half years. Pixelligent’s first three employees earned their Ph.D.s from the University of Maryland. Founder & CTO Greg Cooper earned his Ph.D.in Physics, Zhiyun Chen, Vice President of Engineering, earned his Ph.D. in Electrical Engineering, and Serpil Gonen Williams, Vice President of Product Development, earned her Ph.D.in Chemistry. Pixelligent also employs three other UMD graduates. Xia Bai and Selina Thomas both earned PhDs in Chemistry and Lei Zhang earned her Master’s in Material Science and Engineering. NASA recruits more graduates from UMD than from any other university.